Will there be any technologically literate person out there who doesn’t know anything about Twitter? I don’t think it is possible at all. Social media is basically the only platform where people around the world assemble together irrespective of their country, religion or language. We have actually come to a stage where the lack of knowledge about the various social media platforms is far more embarrassing than failing an exam. Twitter, launched in the year 2006, has more than 330 million registered users now. Right from the celebrities and leaders to the common people, all maintain a Twitter account. People tweet about everything that has happened in and around them through this website. Hashtags were associated with Twitter to enable the users to summarize their day or enhance the significance of an event with a simple “#” symbol. Twitter, nowadays is not only used for fun and entertainment, but also in others sectors like business, education, and so on. Twitter makes the educational system even more proactive and creative. It has created opportunities for both the students and teachers to mingle with different people across the globe. Students can easily communicate with other national or international students and teachers to get new ideas on the projects and assignments. Teachers can discuss with the professionals on how to make their teaching more effective and simple. The links for the study materials can easily be shared through twitter in the form of tweets. The teachers can encourage the students to do combined projects with the students in different parts of the world. Both the students and the teachers get the opportunity to access the different cultural and educational activities carried out by the other institutions and hence, try to organize similar ones in their own schools. Proper communication and marketing are essential to sustain the business field. Twitter is one of the most efficient platforms to expand their business and also enhance their reputation. Let us see how Twitter helps the businessmen and entrepreneurs. 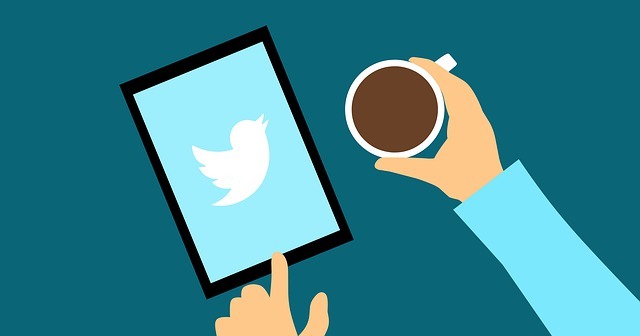 Twitter has made it easy for the businessmen to connect with their clients in different parts of the world. They can be easily notified of the changes in the schedule of meetings or about the delivery of a material. This is by far, the best platform to seek the potential clients across the globe. Entering into the international business has also become possible with Twitter. By providing links to the business websites or by announcing your latest ventures through tweets, you can receive the attention of millions of people all over the world. Small-scale businesses can spread the name of their brand through this social media platform. Once you manage to gain the trust of your Twitter followers, marketing your products become easier. To survive in the business world, it is also necessary to keep an eye on your competitors. There is no other ideal platform to do this other than Twitter. All the information regarding the other companies including their latest creations can easily be accessed through the Twitter website. Twitter helps to maintain a cordial relationship between the clients and the businessmen. You can easily inform the people about the special offers and discounts on the various products through Twitter. This will help you to boost both your online and offline sales. By maintaining proper communication with the customers through Twitter, instant feedbacks can be received. The various measures required to be taken to rectify the mistakes or to improve the quality of the products can also be immediately discussed with your colleagues through tweets. If your tweets are found to be interesting or informative, it gets retweeted to millions of other people and hence it helps to gain a worldwide reputation for your company and the products. One of the attractive features of Twitter is that it is free of cost for all the users. It is also a completely user-friendly website which can be accessed and used by all the people with ease. Though it has proved to be helpful in the educational and business sectors, one has to be always careful while treading on these social media platforms. Before using this website to bring a change in your career or education, you have to be clear about what you have to do to attain the target. Because improper use of these platforms can also easily ruin your reputation and career. In short, if effectively used, Twitter can definitely be the stepping stone to your success.